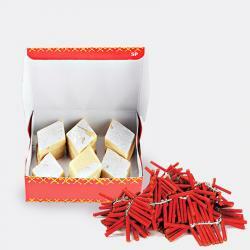 Product Consist : Box of Kaju Roll ( Weight 500 Gms) with Assorted Fire crackers (Worth Rs.300/-) (Note: Types of Fire Cracker are depends upon their availability no specific choice). 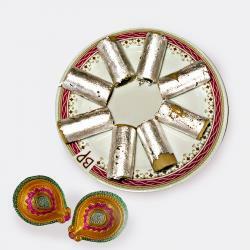 Plan out special celebration of your loved ones this Diwali by pampering them with splendid gifts. This is a remarkable gift hamper that comprises of a box of 500 grams of super delicious Kaju rolls that are extremely tempting and a set of assorted fire crackers worth Rs. 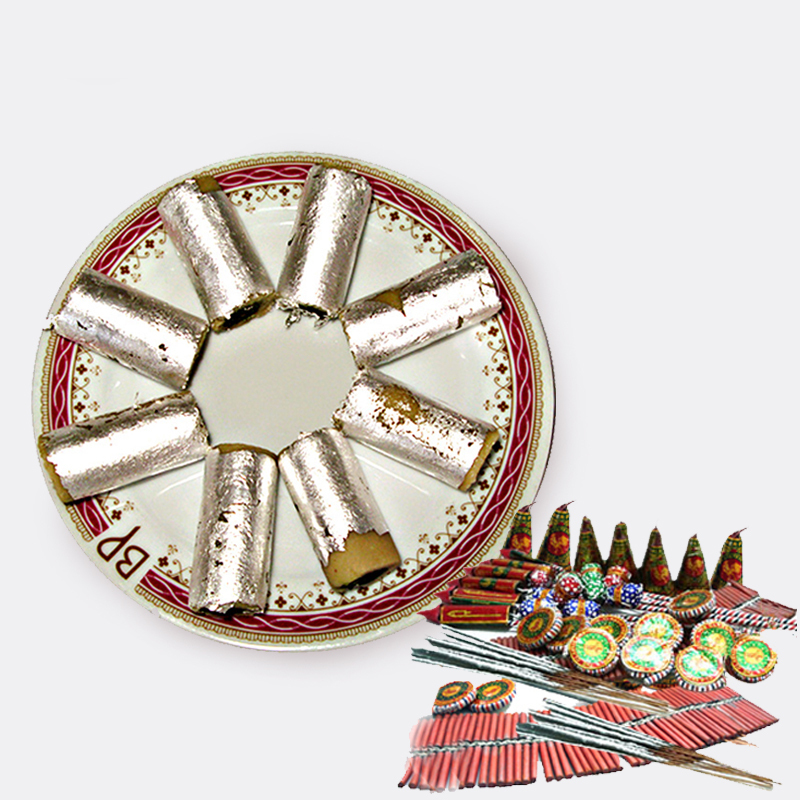 300 that include sparklers, ground chakkars, red fire crackers, sparkler threads and so on. 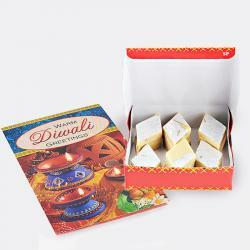 This exclusive gift hamper is all set to delight your loved ones and fill them up with absolute elation on Diwali. So go ahead and order it now. 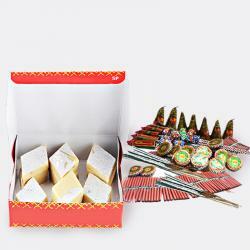 Product Includes : Box of Kaju Roll ( Weight 500 Gms) with Assorted Fire crackers (Worth Rs.300/-) (Note: Types of Fire Cracker are depends upon their availability no specific choice).